Note: In light of the ongoing NSA spying revelations by Edward Snowden, the Guardian, and journalist Glen Greenwald, we present an online reprint of an amazing article (first published in Crescent International in 1997) which details the foundations of the western and secular ideological obsession with spying on citizens to maintain “control”, “order”, and “security” as well as briefly, an alternative ideological Islamic viewpoint related to this matter. It is our belief at iSiyasah that the surveillance state is part and parcel of the secular liberal ideological construct that denies existence of a creator in order to allow other select elites to exploit and control the masses; therefore, not looking at other ideological constructs is an issue that is neglected in the ongoing discussions about NSA surveillance, security, and civil liberties for citizens. Declassified documents, leaked information, insider sources, and public confession by former intelligence operatives have recently revealed that in the late 1980s New Zealand joined the United States and other western governments in a super-secret global intelligence system to monitor most of the world’s phone, fax, telex, and electronic mail communications. The American National Security Agency (NSA), which has spearheaded this program for years, has a business plan for ‘global access’ to information in the 21st century, an all-seeing eye spy network for global order. But this is not the first conception of a surveillance-based world order; the thought of total control by total surveillance has enticed philosophers and demagogues in the West for centuries. In 1787, English philosopher Jeremy Bentham published a work that had obsessed him for 20 years. In it, he conceived the ideal prison–and metaphorically, the tenants of an ideal society–terming the new construct a “panopticon”. 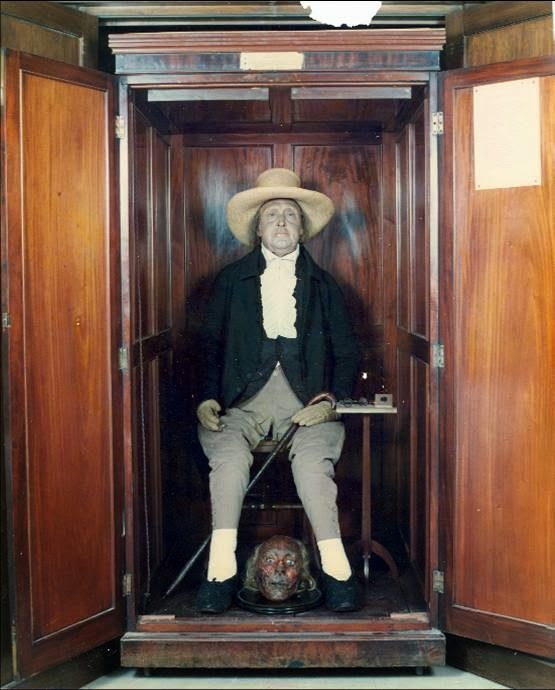 Bentham believed that the best way to control people is to keep them under constant surveillance. The panoptic prison was a work of architecture with an ethos of constant surveillance built into its very structure. Gone would be the days of dark, dank dungeons with legions of guards; this invention was to be well-lit and needed few guards. Plan of Bentham’s design drawn in 1791 by Willey occasional punitive messages. A guard sat in the central inspection tower hidden from inmate view. The resulting matrix of seen/unseen and heard/unheard created a power structure that would train inmates to believe that they could be under surveillance at any given moment day or night, but that they would never know exactly when. The intended result was for inmates in a panopticon to eventually learn to police themselves. Extending this principle beyond the prison, Bentham was convinced that his structure provided a model for the ideal society, in which all thoughts and deeds would be laid open for total inspection. Developed on the European frontier with the Ottoman khilafah/caliphate, the panopticon was in part, a colonial invention. The British implemented version of it to the East and the West Indian colonies. In its permutation as factory schooling, panoptic power accompanied the western capitalist transformation of Egypt. During the 19th Century, penitentiaries and other institutions of social control increasingly reflected Bentham’s vision. In the late 20th century, western governments and corporations are reconfiguring the panopticon by way of electronic technologies. version of the panopticon. Instead of guards concealed and inmates revealed by way of architectural design –a structure Bentham and his disciples were never fully able to perfect — the electronic panopticon uses surveillance cameras, microphones, and other forms of electronic data collection to police its inmates. Nor is the electronic panopticon limited to prisons; it is increasingly becoming the preferred instrument for government and corporate control of citizens and consumers, most of whom would not consider themselves prisoners or inmates in the conventional sense. Broadly speaking, despite its obvious uses by law enforcement agencies, panoptic power sees all citizens as proto-criminals. Police departments in the U.S. and Europe are currently developing ways to expand their reach with electronic devices. 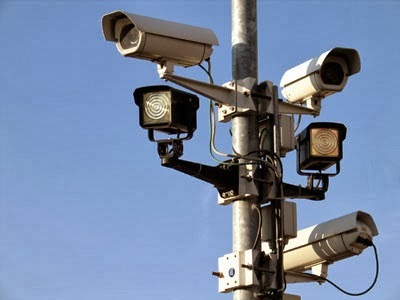 In Liverpool, (UK) police once used video surveillance to track Irish Republican Army operations, but soon expanded the network of cameras in several urban areas to implement a policy of general inspection. In the U.S., cameras routinely monitor traffic intersections in several large cities. New York’s “Red Light Violation Monitoring Program” uses a sophisticated mechanism of electronic trips and levers, in which motorists trigger a camera to film an infraction. Within days, a “Notice of Liability” is sent by computer to the address at which the vehicle is registered, complete with photos and an enlargement of the license plate. In this scheme, the registered owner of the vehicle is liable, and therefore becomes and extension of police power through monitoring friends and family who may be driving it. Similarly, toll booth authorities use routine video inspection of license plates on passing vehicles, running each plate through a database for outstanding violations. Eventually, tolls will have to be paid for by an electronic debit pass that can also be used to track a vehicle’s pattern of movement. In Occupied Palestine, Zionist Israelis use similar technology to police the territories. Besides traffic control, the system has also proved especially useful for keeping tabs on the movement of Palestinians in an apartheid-by-license plate regime, with color and number coded plates that reflect various categories of citizenship status. require bar-coded multiple-use photo identification cards for registration and library privileges, but these are now being expanded to work as bank cards and phone calling cards, as dormitory security and computer terminal access cards, and as debit cards in soda machines, photocopiers, or in the campus store. This allows anyone accessing the records to inspect “profiles” of students, ranging from the kinds of books that they read to the kind of sodas they drink. An important aspect of panoptic power is the ability to develop instant profiles of citizen-inmates. Airlines and border patrol officers currently use a profiling system to screen people for various levels of security inspection; something as innocuous as requesting an in-flight “Muslim meal” or wearing a beard or scarf can result in harassment. In a chilling omen of the degree to which panoptic profiling may one day be taken, stray dogs captured in France are surgically implanted with computer chips in the dog pound, enabling animal control officials to determine from afar the profile of a particular animal by simply pointing an electronic device at it and reading data on the implanted chip. The entertainment industries in the West are beginning to exhibit aspects of panoptic power. Cable users in New York, and probably most other U.S. cities, are treated with a new “convenience” on their systems. By simply pressing a few buttons on the handheld remote, a consumer can order pay-per-view programs and be billed later. But this means that cable lines are two-way systems capable of transmitting as well as receiving information, which can conceivably include monitoring viewing habits and other details of personal life. In a recent meeting between MTV and Blockbuster Video corporations in the U.S., the Blockbuster executives demonstrated their centrally controlled database of everyone who has ever rented one of their videos by looking up the video renting habits of everyone’s favorite movie stars. But such displays are supposed to be illegal in the U.S., ever since a nominee for Supreme Court Justice pushed through legislation after he found out that journalists were reviewing his video rental history in search of embarrassing personal tidbits. Many Americans already identify themselves as consumers before citizens; the panoptic police state’s interface with the emerging virtual shopping mall culture further blurs the distinctions. Consumer-citizens of the West can now shop at home with TV, credit cards, phones, and computers. For consumers who still like to get out now and again, American supermarkets are introducing a system in which consumers will scan their own purchases while shopping and then debit the costs directly from their bank accounts. Advertising agencies buy and sell gigabytes of consumer generated data in tailoring their campaigns at audiences profiled according to buying habits, location, income, race, gender, and age. Widespread computer use by government and corporate bureaucracies has greatly increased the potential of the electronics panopticon. Senior citizens in the U.S. have become concerned in recent months because their social security files are easily available on the internet. Employees of the Internal Revenue Service were recently reprimanded for snooping into computerized tax records. Many utility companies operate computerized billing systems that can also be utilized as a form of surveillance, inspecting power usage levels to determine the daily routines of customers. Intelligence agencies have long sought panoptic power. The U.S. has satellite lenses so secret that photos taken through them are classified. Photos taken in the 1960s, recently declassified by Freedom of Information Act lawsuits, reveal that 30 year old technology — no doubt primitive by today’s standards — was nevertheless capable of zeroing in on an object the size of an automobile from out of sight, high up in the sky. Today’s lenses can presumably read the license plate. 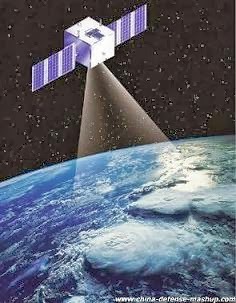 However, telescopes will not be the only means of visual inspection in the global surveillance order. Japanese technicians have devised a minute remote control device that can be mounted on the back of a cockroach, enabling users to stimulate the roach’s central nervous system causing it to crawl in a particular direction; they plan to mount tiny cameras on the backs of the roach/robots, ostensibly to aid in earthquake victim recovery but no doubt with other uses as well. The panoptic police state is being sold to inmate-consumers in the West in terms of “convenience” and “efficiency”. 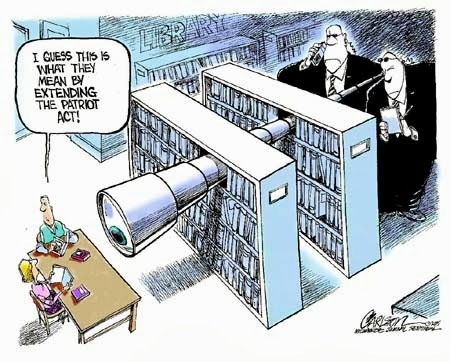 Though, there are still a few legal mechanisms that prevent the integration of all of these databases, what seems to be emerging is a system of micro-control operating on Bentham’s principle that a population who believes it is under constant surveillance will police itself more efficiently and behave within the dictates of the system. Defenders of panopticism note that only criminals need be afraid, or that profiling will help improve products and services. But seen in a broader context, one vexing legal issue is to what degree should governments and corporations have ease of entry into private domains. The wealthy will as usual be able to buy a degree of immunity; from its conception in Bentham’s day, panopticism was largely conceived as an institutionalized mechanism of social control for the masses. George Orwell’s “Big Brother”, once thought to have died with the Soviet Union, is alive and well and living in the “Free” and “Democratic” West. From an Islamic perspective, the prospectus of panoptic power has severe implications. The electronic panopticon is a god-trick of the deluded Western mind in its 500-year war against Allah (SwT). The desire to be god-like, to have the ability to see, hear, and know all, is an arrogant affront to the Power and Majesty of the Creator; this is certainly no basis upon which to build a civilization. Only Allah (SwT) is All-Seeing, All-Knowing, All-Hearing. Any pretension to these attributes from the realm of other than Allah (SwT) amounts to associating partners with the Most Beneficient – the gravest sin in Islam. By building this system, western civilization is sowing the seeds of its own destruction. One thing I do agree with however is that Bentham was a bit of a nutcase.